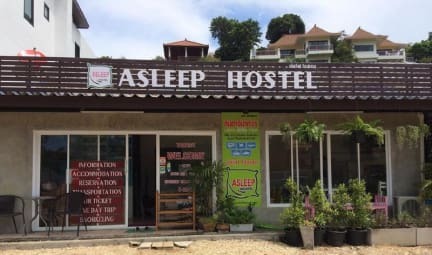 Asleep Hostel is 8 km from Ferry and Krabi International Airport is a 2-hour ride away. The property is situated in Ko Lanta and features a garden and free WiFi throughout the property. Popular points of interest around the property include Lanta Old Town and Police Station. Post Office Ko Lanta is 8 km away. Refrigerator, Microwave, Coffee and toast are available in the common area. 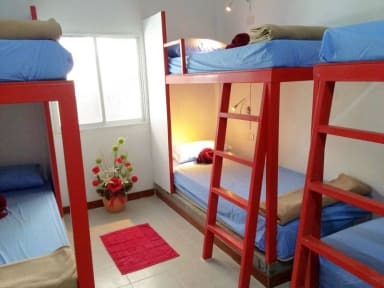 Shared bathrooms with hot shower and AC in all rooms. Lanta Old Town is 8 km from the hostel, while Saladan School is 8 km away. 2. Check in from 14:00 noon to 22:00. 4. Payment upon arrival by cash and Card. We accept credit card +4% bank surcharge.